Please choose Utility Bill Payment from the Transaction Code drop down menu. Fill in all fields related to the payment to ensure proper posting. Visa, MasterCard, Discover and ACH are accepted for payments. Payments are subject to the following fees, credit card: $3.25 for each increment of $450 and ACH: $1.50 per transaction. 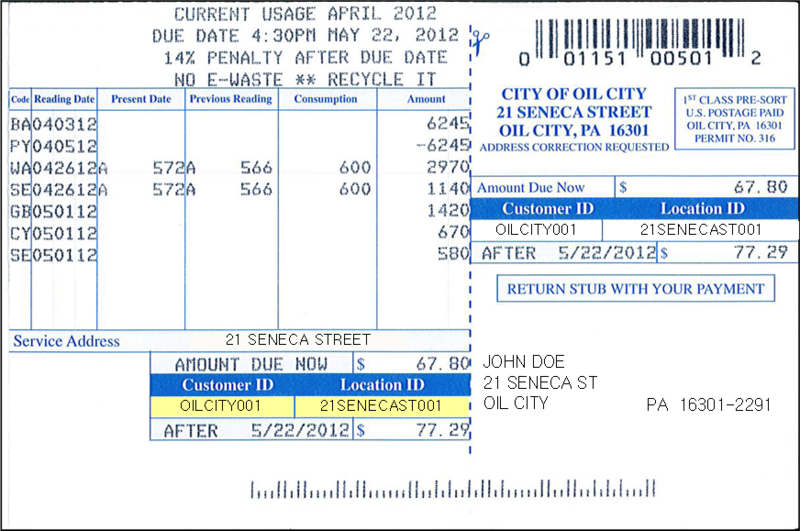 See our sample bill for assistance locating the requested information.